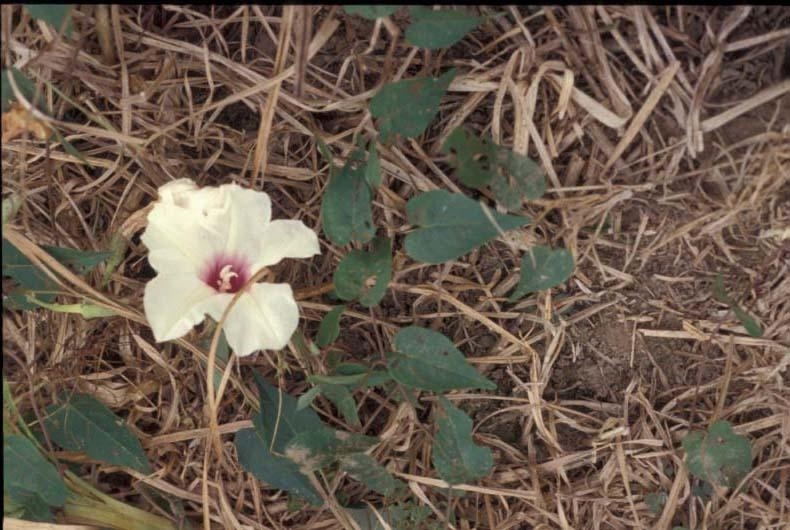 A perennial trailing or climbing vine from a large storage root that may reach 10 ft in length. Found throughout the eastern United States, north to Ontario, Canada. 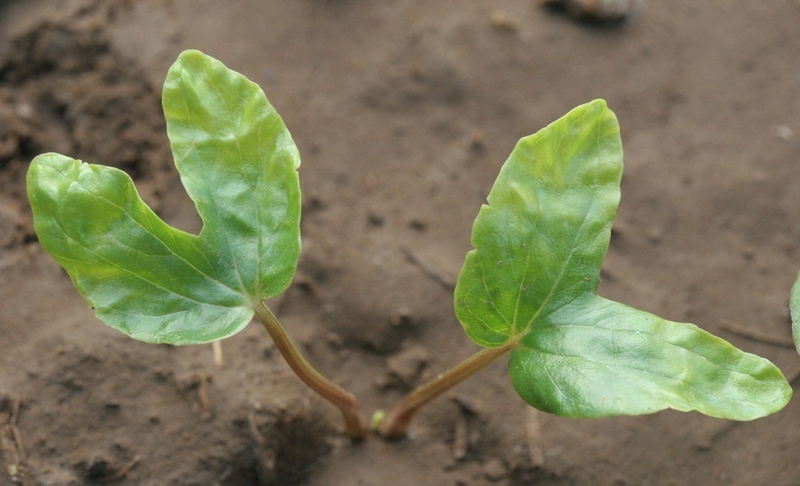 The cotyledon attachment to the stem below the cotyledons (the hypocotyl) remains below ground. Alternate, entire or with indented sides, heart-shaped, with or without hairs, 4 inches long, 3.5 inches wide, and on long petioles. Trailing or climbing to 10 ft in length, with or without hairs. 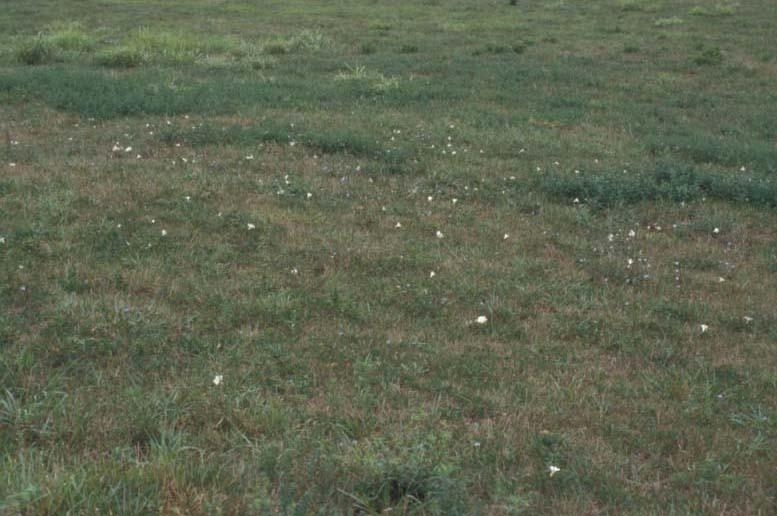 Produced on flower stalks (peduncles) in clusters of 1-5. 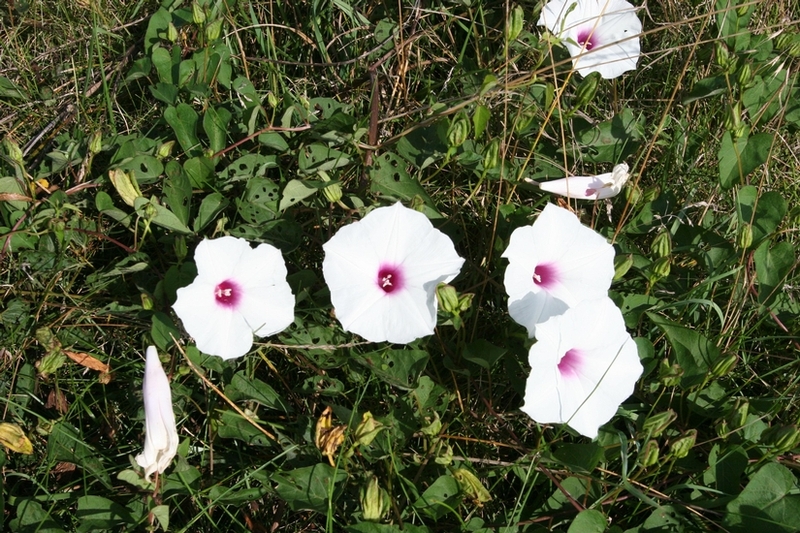 Flowers are white with a lavender or purple center, 2-3 inches long. 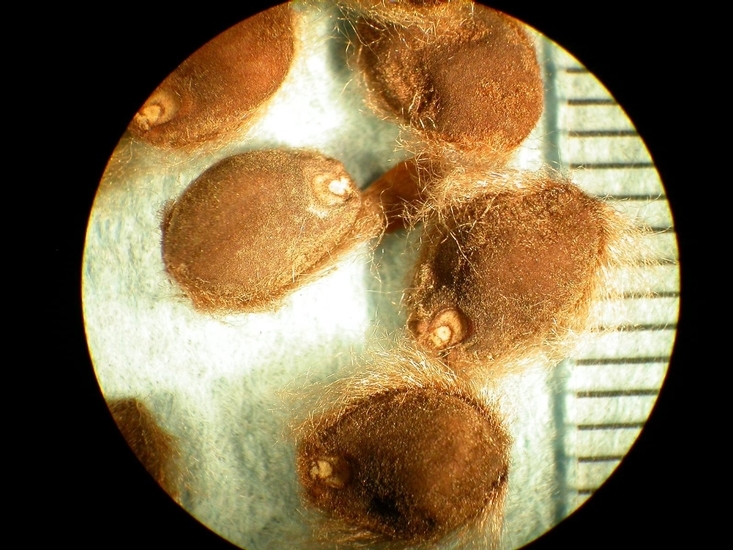 A capsule containing 2-4 dull reddish brown seed that are densely hairy around the margin. 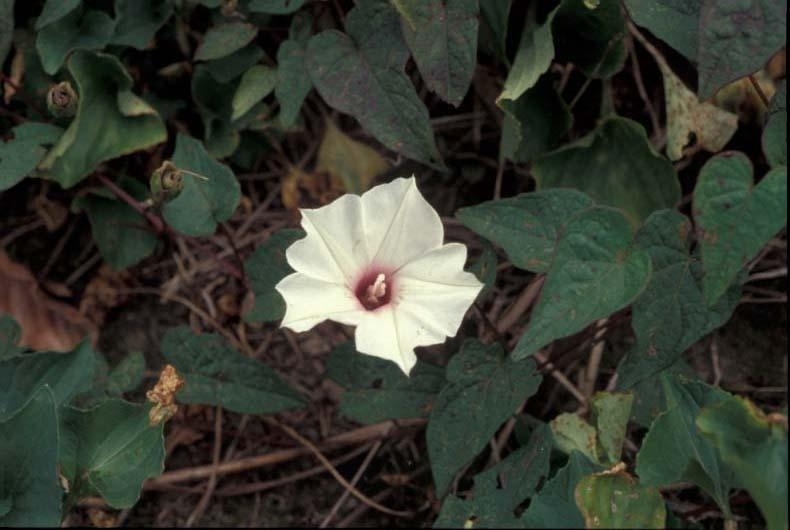 Large tuber-like root and white flowers with lavender or purple center should distinguish this weed from other morningglories with white flowers.